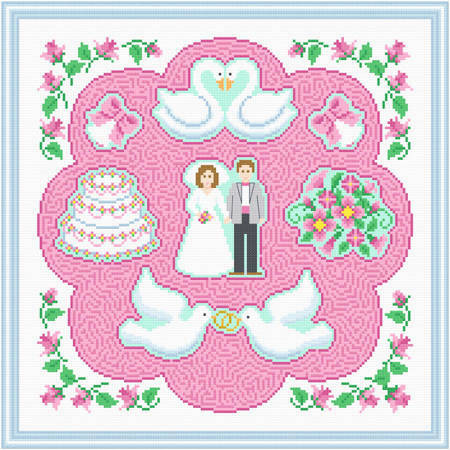 Wedding Maze cross stitch pattern... Bride and groom and images associated with weddings may be connected in the maze. Dry erase markers can be used on the glass and erased. A solution is provided. Floss may be changed.